First BlackBerry 10 phone to be the "Z10" | BlackBerry Blast! BlackBerry Blast! > News > First BlackBerry 10 phone to be the "Z10"
First BlackBerry 10 phone to be the "Z10"
RIM's first BlackBerry 10 smartphone codenamed "L-Series" or "London" will apparently be rebranded with a shorter, catchier name. 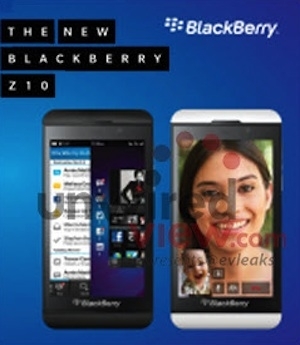 The new name will be the BlackBerry "Z10." UnwiredView got its hands on the marketing materials that reveal the new name. RIM will unveil the new BlackBerry 10 smartphones on January 30, 2013.